Someone once said, ‘A muse can be a mirror: a reflection of the artist’s desires, anxieties, dreams, and needs’. Right now, I was his muse. I was his desire. I was his anxiety. I was his dream. I was his need. Silas Dale’s only purpose is to keep Dale Enterprises safe from his very own brother Adrian Dale whose purpose is to sink Silas down by framing him. Silas is neat, disciplined, utterly empty while having no emotions whatsoever- until the night Dawn Riviera comes to his life, as a tangle of pale limbs and a whirl of long chestnut hair. Both of them being intoxicated, find themselves on Dawn’s parent’s bed. Now Dawn is trapped when her parents find them naked on their bed, thinking that the unusually attractive naked man is her fiance. Forced into this relationship, Dawn agrees to be his wife for just one year. But thrown into his black & white world, she finds strokes of colors and unforeseen creativity. Will she be able to understand the meaning behind Silas’s artworks? And Silas, will he be able to resist the storm of emotions inside him and keep Dawn safe from his own brother? Will the artist and his muse find love? Husband with Benefits. Copyright © 2016. All Rights Reserved. 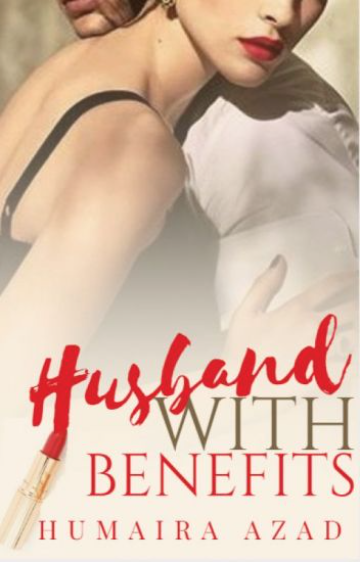 Read “Husband with Benefits” here.